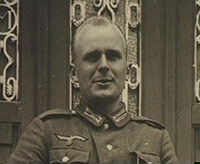 Amateur Photographer - The story of a German soldier and the photographs that he took, while serving on the Eastern Front during WWII. Integration Report 1 - Brings viewers to the front lines of the fight for civil rights. Jack Kerouac - A charming program from over 40 years ago: Jack Kerouac talks about his childhood, writing On the Road and the origin of the word "beat." 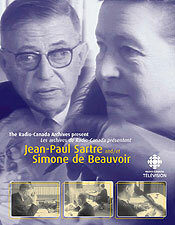 Jean-Paul Sartre and Simone de Beauvoir - From 1967, for the first time on video or DVD, a portrait of two of the most influential and controversial writers and thinkers of the 20th century. They discuss their work, lives, and the role of intellectuals in modern society. Le Joli Mai - Chris Marker and Pierre Lhomme's legendary portrait of Paris and Parisians at the close of the Algerian war. The Making of 'Rocky Road to Dublin' - Reunites Peter Lennon and cinematographer Raoul Coutard, who recount the making of their then controversial, now classic, documentary on Ireland in the Sixties. On Strike! 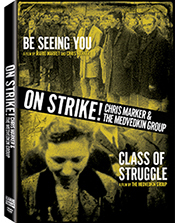 : Chris Marker and The Medvedkin Group - Two films made collaboratively by Chris Marker and striking workers in 1968 and 1969. Rocky Road to Dublin - The last film screened at the Cannes Film Festival in 1968. A provocative, biting portrayal of 1960s Ireland: the stultifying educational system, the repressive, reactionary clergy, and the myopic cultural nationalism. The 3 Rooms of Melancholia - An award-winning, stunningly beautiful revelation of how the Chechen War has psychologically affected children in Russia and in Chechnya. Henry Miller - An intimate and revealing look at Henry Miller, and his life and work through this program from the archives that originally aired on television in Quebec in 1969. Paris, 19th Century - Architectural historian Francois Loyer, an expert on 19th-century Paris, examines the foundation of the modern city in Georges-Eugene Haussmann's massive "renovation" of the 1860s.